The Information We Collect: Most of your non-public personal information is provided by you on your application for insurance. For example, your name, address and amount of coverage. Depending on the type of insurance policy you request, we may seek additional information about you or your property. In certain circumstances we may collect information about you from third parties. For example, we may send information to a property inspection bureau so that we may send someone to inspect your property. We may review prior insurance claims information. We may obtain financial information and we may receive information about you from a consumer reporting agency. The information we collect allows us to properly underwrite and rate your policy of insurance and to complete the other transactions incidental to your insurance policy. The Information We Disclose: We do not disclose any non-public information about our policyholders except as permitted by law. We may disclose any information when we believe it necessary for the conduct of our business, or where disclosure is required by law. For example, to help us prevent fraud. In some cases this information can be disclosed to third parties without your authorization. These disclosures may include those made to your agent or broker, inspection or credit reporting firms to enable them to provide business services for us such as helping us to evaluate requests for insurance coverage or to perform general administrative activities. Disclosures may also include appraisers and independent adjusters who investigate, defend or settle your claims, insurance regulators, and your mortgage lender or lien holder. Accuracy Of Your Information and Questions: Our goal is to keep your information accurate, current and confidential. You have the right to know what kind of information we keep in our files about you and to have reasonable access to it and receive a copy. Contact us if you have questions about the personal information that we maintain. Certain types of information generally collected when evaluating claims or possible lawsuits need not be disclosed to you. We will respond to you within a reasonable period of time regarding your request. How We Protect Your Personal Information: We restrict access to your personal information to those employees who need it to provide the insurance products and services you have requested. We maintain physical, electronic and procedural safeguards to ensure the confidentiality of your information. These safeguards comply with state and federal laws designed to guard your non-public personal information. Our employees are required to comply with our established policies. Changes To Our Privacy Statement: We reserve the right to modify this privacy statement at any time. Notice will be provided to you in advance of any changes that would affect your rights under this policy statement. In any event, you will receive a copy of our privacy notice at least once a year as long as you remain a Farmers Mutual customer. 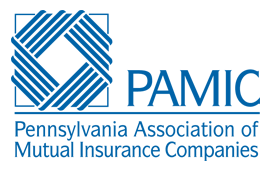 The Information contained in this Web site is intended as an introduction to the products and services offered by Farmers Mutual Fire Insurance Company of Marble, PA. The information and materials contained on this site do not, and are not intended to constitute, an advertisement, offer to sell or solicitation in any state in which Farmers Mutual is not licensed to do business, or with respect to types of insurance which Farmers Mutual is not authorized to sell in a particular state. To review and understand the Farmers Mutual policies and coverages that would best serve your specific needs, please contact your independent agent. Description of Policy Coverages: The information and product descriptions contained in this website are provided solely for general informational and illustration purposes, as a convenience to current and prospective customers and agents of Farmers Mutual as a public service. This site does not intend or attempt, moreover, to provide full and complete descriptions of all the benefits and limitations found in policies that Farmers Mutual might issue in a particular instance, rather than general descriptions on this website, the contract between an insured and Farmers Mutual. Furthermore, your eligibility to purchase any particular Farmers Mutual policy will be subject to final determination and acceptance by Farmers Mutual or its authorized representatives, in their sole discretion. You should carefully review all materials delivered to you in connection with your purchase of a Farmers Mutual policy. If you have any questions in this regard, please contact your Farmers Mutual agent. Limitation of Liability: Farmers Mutual assumes no responsibility and shall not be liable for any damage to your computer equipment or other property as a result of your access to, use of, or browsing in this website, or your downloading of any information, materials or images from this site or arising in connection with any failure of performance, error, omission, interruption, defect, computer virus, delay in operation or transmission, or line or system failure. You, and not Farmers Mutual, assume the entire cost of all necessary servicing, repair, remediation or correction. Copyright and Trademarks: This website is owned by Farmers Mutual. Unauthorized use of this site, and/or the materials contained herein may violate applicable copyright, trademark or other laws. Our corporate seal and trademarks, service marks, graphics, logos, domain names and text on this site, except where otherwise indicated, are the intellectual property and valuable assets of Farmers Mutual or are used by permission of the owners thereof. Materials displayed on this website may be downloaded for personal, non-commercial use only, provided all copyright and other proprietary notices contained on the materials are retained. Otherwise, no part of the information and materials on this website may be reproduced, photocopied without prior written permission from Farmers Mutual. Links to Other Websites: As a convenience, from time to time this site may link to other websites which Farmers Mutual does not maintain or control. Farmers Mutual does not monitor and is not responsible for the content or security practices of any such third-party site. If you decide to access other websites, you do so at your own risk. Farmers Mutual expressly grants permission to all of our appointed and licensed agents to place a link on their own web pages to the agent locator page of this site. 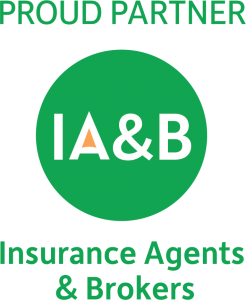 Farmers Mutual is proud to support the independent insurance agents with whom we do business.